Home › Latest News › Our Santa uses horses. NOT REINDEER. Our Santa uses horses. NOT REINDEER. Everything is covered in snow and it smells like Christmas spirit all around. 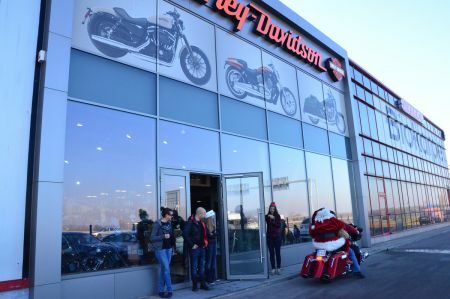 Harley-Davidson® in Sofia, located at 348 Botevgradsko Shouse Blvd. will come out for all of you who remember to bring their Christmas mood. share your child’s happy moment with all friends and family.